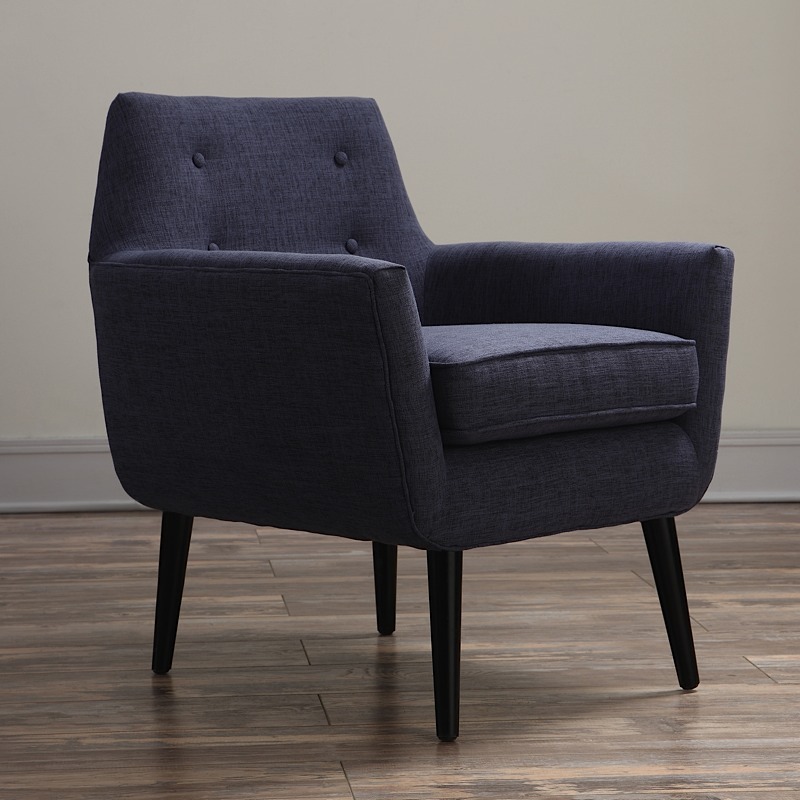 Offering sleek, mid-Century lines on a solid Beech wood frame, the Clyde Chair is a stylish accent for any room in your home. 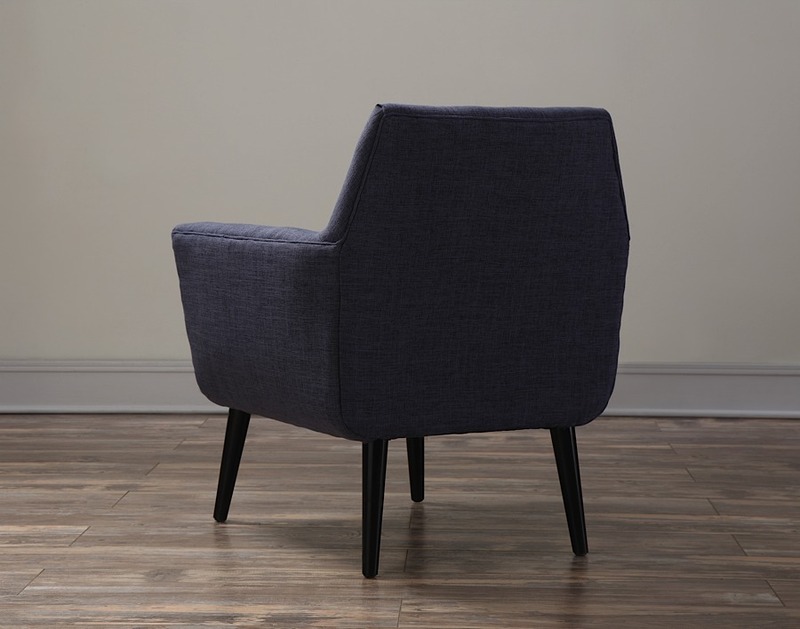 Clye boasts handcrafted workmanship, including the button tufted backrest, piped stitching and conical beech legs. 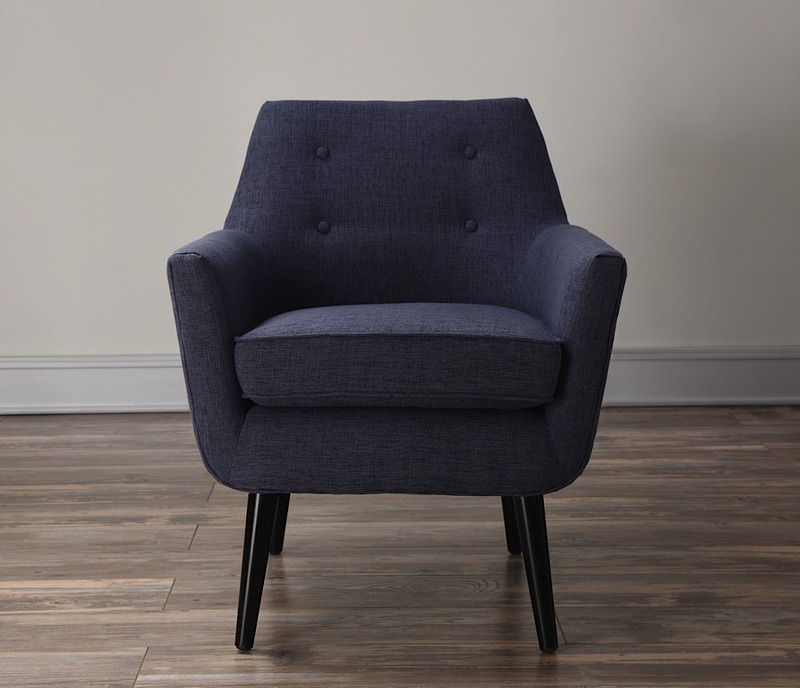 The soft upholstery is designed for your lifestyle, and Clyde's small frame makes it a versatile addition to bedrooms, family rooms, or even a reading nook! 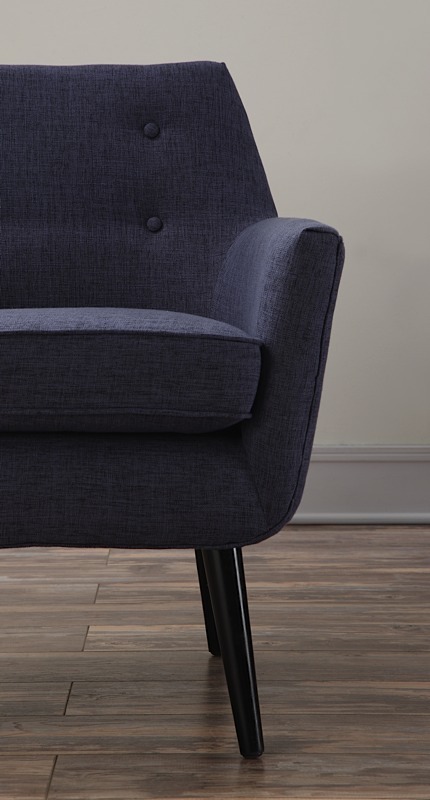 Clyde includes removable seat cushion, and high-density foam construction. "Croc" version is crafted with bonded leather; the others are covered in linen. Seat height: 19". Seat depth: 21".